The former city councilwoman fills a roughly two-year term after council members weeded through 23 applicants and despite calls by residents to hold a special election. Tonight's Airport Commission meeting has so many attendees that there are no more seats available inside and people are only allowed in to grab a comment sheet. Pauly: ACC-OC EXPOSED Is Your City a Dues Paying Member? Deborah Pauly, an elected member of the OC Republican Party and former Villa Park Councilwoman, writes about the lobbyists and consultants that are able to influence elected officials, with taxpayer dollars, all facilitated by the Association of California Cities - Orange County. 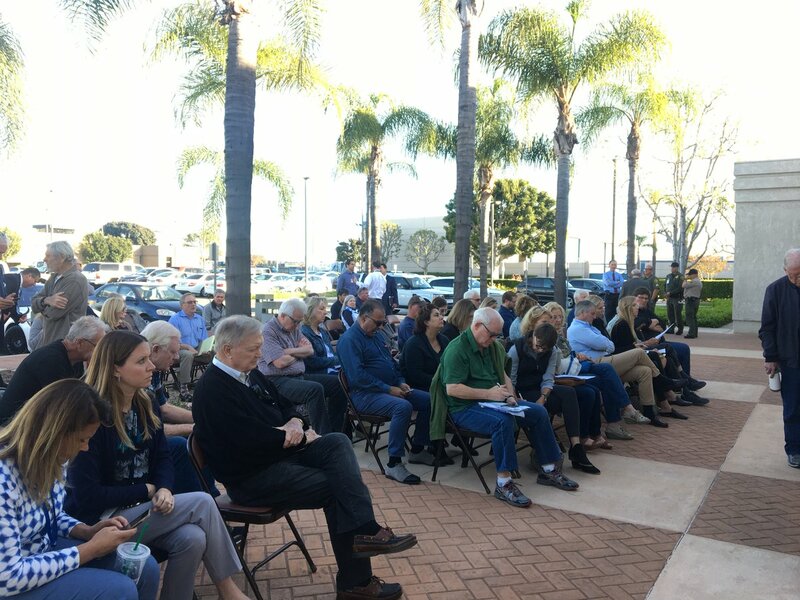 An Anaheim city council action last month endeavoring to keep stadium deliberations with the Angels confidential is not only sad and ineffective for building public support it’s also likely illegal. This week, council members also consider even limiting their own ability speak from the dais. The work produced by Voice of OC staff has earned praise across the golden state -- earning 10 finalist spots among digital publications across California.